It’s a wrap from CAUSINDY 2018! 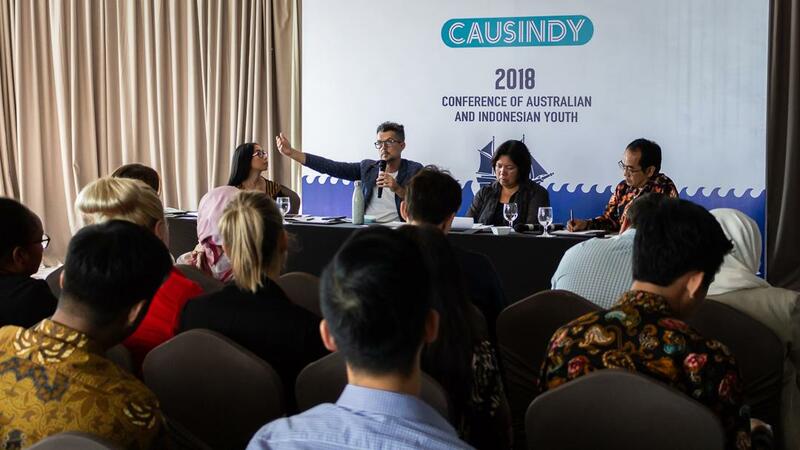 CAUSINDY (Conference of Australian and Indonesian Youth) is a platform to create a stronger bilateral relationship between Australia and Indonesia, and this is the 6th conference since CAUSINDY began in 2013. 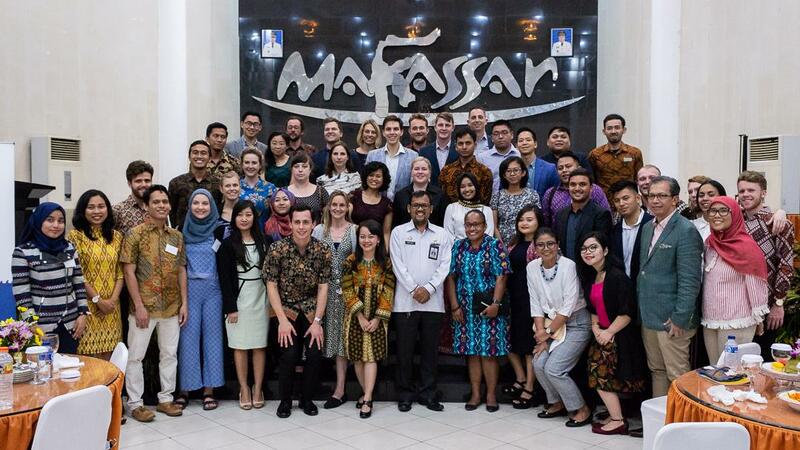 With ‘Connected by Sea’ as the theme, this year’s conference was held in Makassar, Indonesia in the first week of September, with 31 delegates participating from across Australia and Indonesia. It was a highly selective process in choosing the delegates, since they had to compete with over 400 applicants this year! The delegates came from a range of fields – sitting members of parliament to leaders in business, academia, and social enterprise – who are now a part of CAUSINDY extensive and strong network of alumni. As part of the program, there was an introductory session on the first day, and four panel discussions during the second and third day, which featured prominent speakers and moderators. 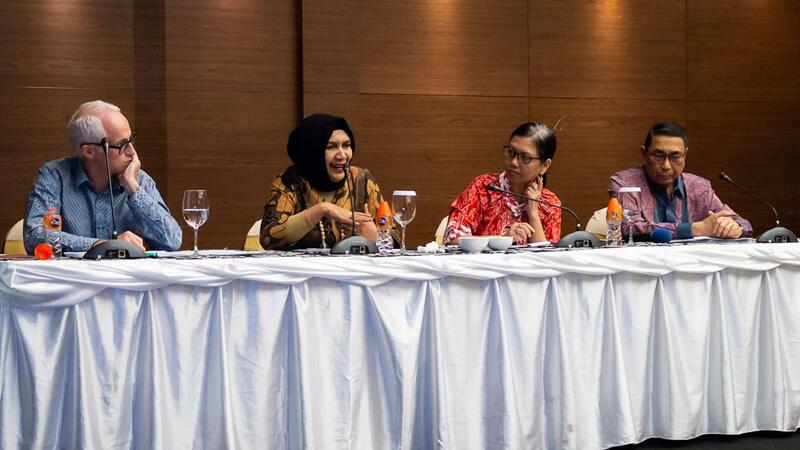 For the first day we had Bernadus Djonoputro speak during the dinner hosted by the Office of the Mayor of Makassar. Bernadus is the Deloitte Country Head of the Infrastructure & Capital Projects in Indonesia, and President of Indonesian Association of Urban & Regional Planners. He shared his thoughts on the Australia-Indonesia relationship in the sectors of infrastructure and urban planning, drawing on his extensive experience across a range of infrastructure projects, including urban transport, ports, toll roads, water, and power. 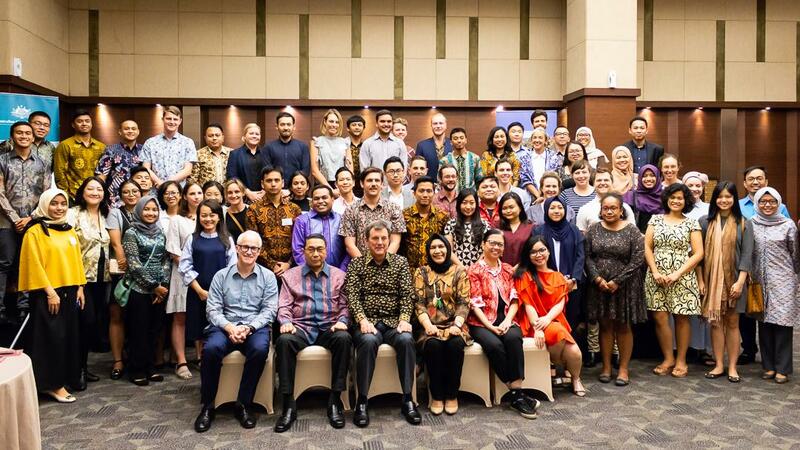 According to Bernadus, highlighting the IA-CEPA (Indonesia-Australia Comprehensive Economic Partnership Agreement) Pillar 2 which is ‘Connecting People’, he was proud to be with the young leaders of Indonesia and Australia, who build bridges for the future of both nations, bringing Sister City programs to the next level. As part of the kick-off panel, Ima Abdulrahim (Executive Director of The Habibie Center, one of Indonesia’s leading think tanks focusing on democracy and human rights) and Ian Wilson (lecturer at Murdoch University) spoke for the Politics Panel Discussion, along with Uni Lubis (Editor in Chief of the IDN Times) as moderator. The Politics Panel reviewed the domestic political developments of Australia and Indonesia during the last year, and examined how these have shaped foreign policy. In light of looming national elections, this panel sought to explore possible directions the bilateral relationship could take in the future. It can be highlighted from the discussion, that it is very important to raise awareness throughout the community to promote an inclusive, trustworthy, and positive political participation. As it has been 20 years since Indonesia’s reformation, according to Ima Abdulrahim Indonesia has improved significantly in terms of the country’s political identity – despite having facing social and economic grievances arising from the misleading messages in recent years. Another note is about women’s involvement in politics as peace builders, which commonly is not highlighted. It is our task to share positive stories about how women can take part, and have women be recognised as existing in politics matters and being equally influential. The second panel discussion was Business and Trade, which included a dinner hosted by the Australia’s Consulate-General in Makassar, featuring Julian Smith (PwC’s Global Transport & Logistics industry leader and director at PwC Indonesia Advisory), Vonnie Opier (leader of ERP Oracle on cloud project implementation under Kalla Group), and Noke Kiroyan (Chairman and Chief Consultant at Kiroyan Partners), and Uni Lubis as moderator. It was an exceptional moment to witness the discussion about business and trade by these distinguished speakers. The discussion was mainly talking about the viability of IA-CEPA; it was an in-depth look at what the new free trade agreement between Indonesia and Australia will mean for business and trade, what we can learn from the monetary crisis in 1998, and the prospects for increased commercial links. From the discussion, the audience was able to better understand what future challenges businesses in both countries will face. A highlight from the Australian Consul-General in Makassar Richard Mathews, during his opening remarks, was that people need to show social responsibility in international development if they want to grow a business in Indonesia. According to Vonnie Opier, it is important for Indonesians to know how to improve the quality of their products in order to develop their businesses. About the risks, Julian Smith said that this is just the start of a journey. Both Australian and Indonesian governments will need to actively manage realisation of the benefits of the partnership because many businesses will be unaware of the reductions in tariffs and non-tariff barriers. In line with the conference theme, CAUSINDY held a Coastal and Environmental Panel Discussion, featuring Rili Djohani (Co-Founder and Executive Director of the Coral Triangle Center (CTC)), Prof Jamaluddin Jompa (Chairman of Center of Excellent on Marine Resilience & Sustainable Development (MaRSAVE) at Universitas Hasanuddin) and Simon Baldwin (Director of SecondMuse in Indonesia), along with Lia Zakiyyah from the Indonesian President’s Special Envoy on Climate Change as the moderator. From the discussion, all participants discovered the fact that over 500 million people worldwide rely on coral reefs for their livelihoods. The coastlines and oceans of Indonesia and Australia host much of our population, serve as tourist draw cards and are an important source of sustenance for millions, yet they are also among our most threatened environments. Climate change and coastal inundation threaten communities, while damaged marine ecosystems and rampant overfishing put the food security of millions in doubt. The speakers explored the dangers that these threats pose to Australia and Indonesia, and the opportunities to remedy these through cooperation and sustainable practices. 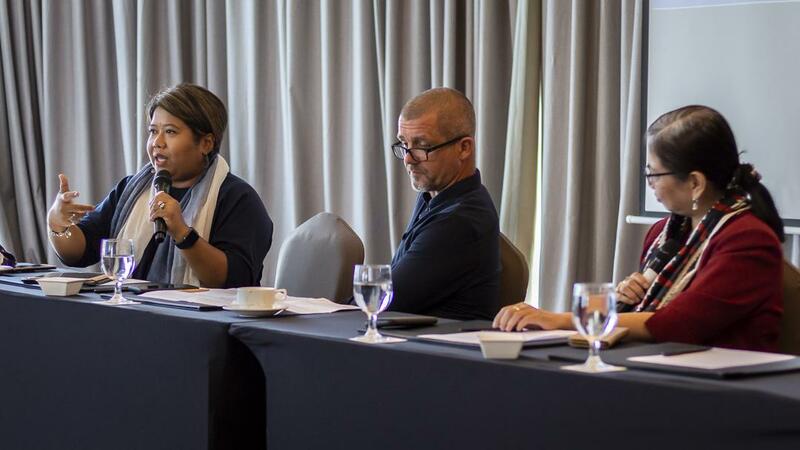 During the discussion, Simon Baldwin listed organisations and hotels involved in local waste management, whereby they work to ‘close the loop’ of plastic production and waste by giving value to plastics normally considered waste and discarded. Instead, there are innovations to ensure the plastic is repurposed and re-enters the supply chain. Catch the second part of our CAUSINDY 2018 wrap-up here!